And so the journey of the torch ginger Bunga Kantan continues. 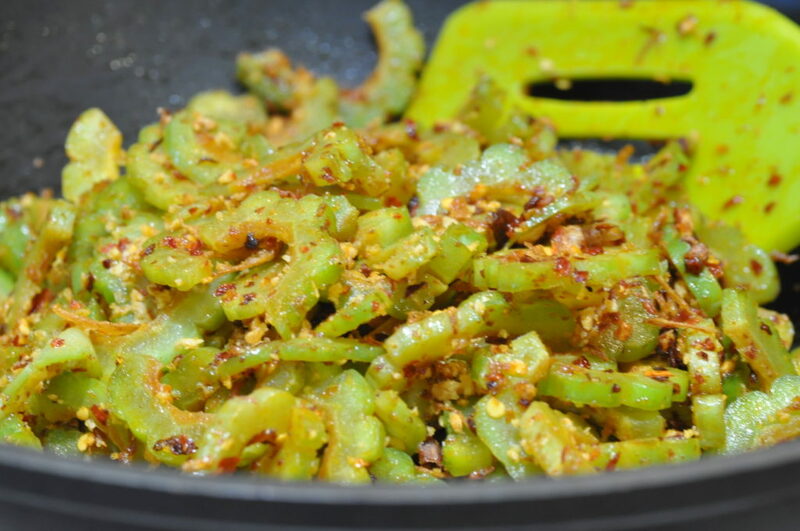 This time it is bitter gourd or peria in local Malaysian dialect. I can eat this alone like salads. 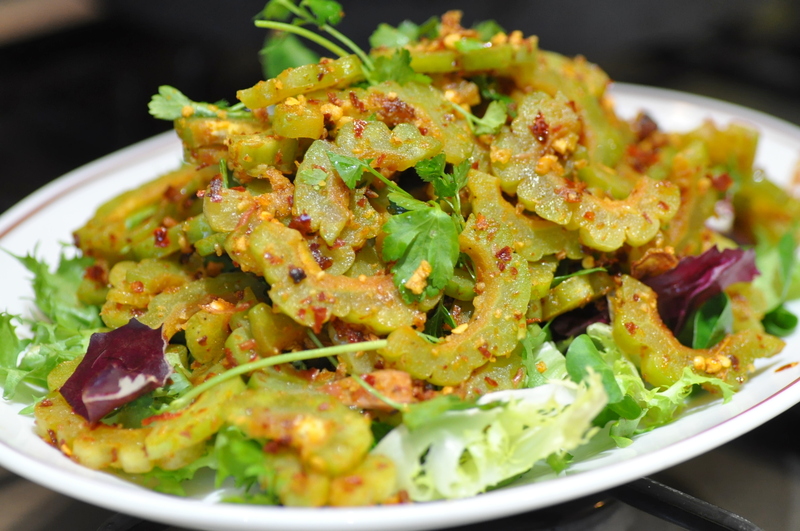 It’s very nice with lettuce serve like lettuce wraps. 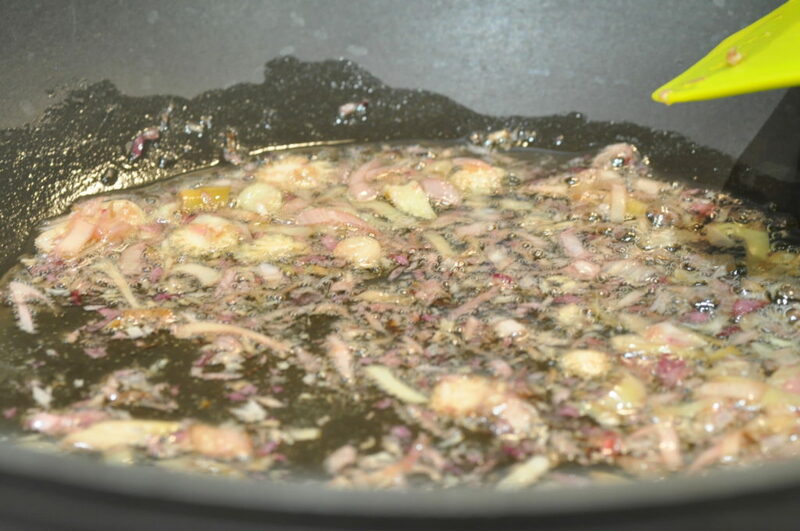 Fry the blended ingredients – torch ginger flowers, onions, garlic, soaked and pounded dried shrimps and chillies. When fragrant turn heat off. 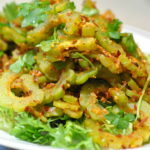 Add the thinly sliced bitter gourds that I have marinated with a pinch of salt sugar and vinegar. Give it a good mix. Note – this is a nice dish just served on top of fresh lettuce. You can add extra chilli sauce on top. 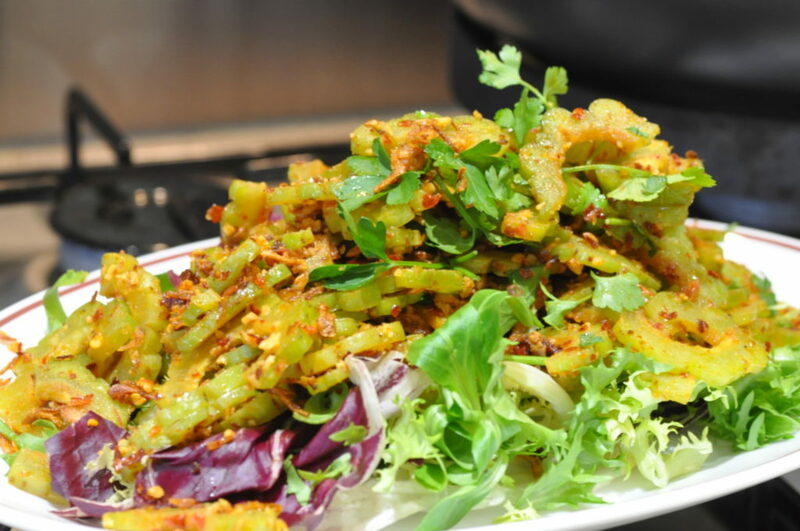 TIP – For a posh serve you can add proteins like prawns or squids.